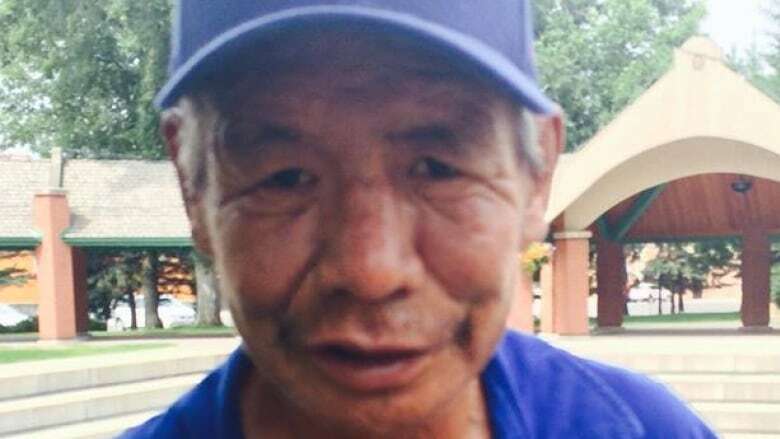 Family says man behind skoden meme was "generous and gentle"
Family and friends say Pernell Bad Arm, widely recognized by Indigenous people across North America as skoden, was gentle and generous and that's how they want him remembered. A quick Google search of the term 'skoden' produces a few articles on the spray-painted water tower in Sudbury ON. It also brings up a picture of a middle aged First Nations man in a windbreaker, holding his fists up in a boxer's stance. The man inside the picture is Pernell Bad Arm. His face is widely recognized by Indigenous people across North America as skoden. But behind the viral meme, is a man who his family and friends label as good-hearted and generous. "I saw it when [the meme] came out. I got angry with it. I saw several, they made fun of natives," said Mark Brave Rock, about the original skoden memes. Brave Rock was close friends with Bad Arm, and was one of the few people that he trusted. "He's gone national now," said Brave Rock said about the image going viral. "I don't know it's just amazing, from such a very humble person to be so misrepresented." The word skoden has been used by various Indigenous communities for a long time, but has been more of an inside joke/slang word for "let's go then." It started gaining popularity on Indigenous people's social media feeds a few years ago, and more recently showed up when someone spray-painted skoden over the Sudbury water tower. For some, the image of a homeless Bad Arm is viewed as a negative stereotype of Indigenous peoples. For others, the image is a symbol of Indigenous people fighting back against oppression. "I think he was just getting a kick out of it," said Brave Rock. "He's got his picture there with his dukes up. That's Pernell." Brave Rock has mixed emotions about the image of Bad Arm in a fighter's stance. On one hand it perpetuates a stereotype, but it also gives him a sense of pride to see his name associated with skoden. "I can't do much about it, I wish people wouldn't use his image like that, but it won't stop them I guess," said Brave Rock. "You could use it in a way of our fight for equality." Brave Rock remembers posting the image on Facebook to let people know that Bad Arm was his friend. He remembers showing Bad Arm the meme, and remembers him laughing at his own his image on the internet. Bad Arm came from a family with nine children and was from the Kainai Blood Reserve in Alberta. He was also a fluent Blackfoot language speaker. 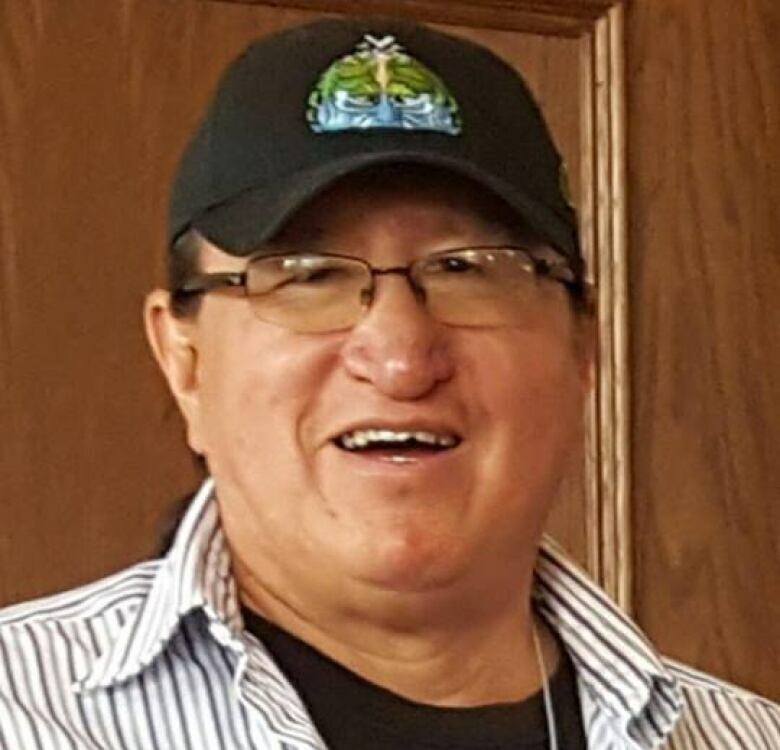 Bad Arm, Niitsitapi (Blackfoot), died in a Lethbridge homeless shelter Nov. 27, 2015, at the age of 52. According to Brave Rock, Bad Arm had a long struggle with alcohol addiction. The struggle worsened when his sister Cynthia Bad Arm was murdered in 2014. A year later, Cynthia's daughter Takala died of an overdose. The two losses were devastating for him. 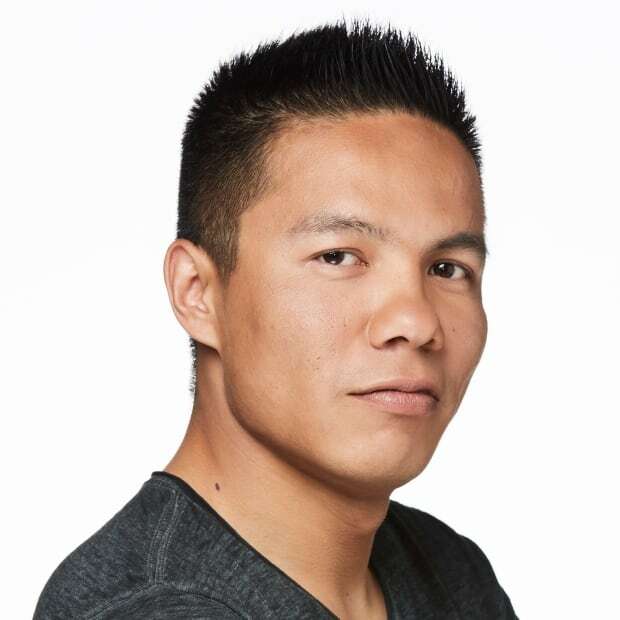 Brave Rock first met Bad Arm in jail and over the years they developed a tight bond while trying to survive on the streets of Lethbridge. "He still lived the old ways in this present day," said Brave Rock. "He still stuck up for his belief in his Native ways, he still had the heart of a warrior trying to survive." Bad Arm's upbringing didn't help. He didn't have an education and didn't have a job. In some ways, it was a resistance to assimilation into mainstream culture, said Brave Rock. He spent most of his adult life bouncing back and forth between jail and the streets. "It's sad when I think of him." said Brave Rock. "As a child, he lived a hard life. You learn to live, you learn to adapt." Brave Rock misses being able to speak the Blackfoot language with Bad Arm, a language that Brave Rock thinks is slowly disappearing. Mark Brave Rock was close friends with Pernell Bad Arm. He said knows the meme using his friend's image and 'Skoden' has more than one meaning. 'You could use it in a way of our fight for equality,' said Brave Rock. Brave Rock has been sober for the past six years and tried to help Bad Arm in his last few years. "Everybody knew him in Lethbridge. In some ways, he got a lot of respect because he lived on his own in the streets." Brave Rock thinks the harsh living conditions may have led to Bad Arm dying early. Bad Arm's family and friends want people to know he was a generous and gentle man. That generosity is common among people who live on the streets. "He would give his last change or quarter to help people," said Tina Bad Arm. Tina is Pernell Bad Arm's younger sister. "He wasn't alone. He didn't die alone. He had a lot of family. He had a lot of nephews who would go look for him and look after him. That was just his way." Amber Jensen previously worked at a social support agency for people experiencing homelessness in Lethbridge. She spent about five years assisting Bad Arm while he was still alive. She echoed his sister's words and wanted people to know that he didn't have his own children, had a soft spot for dogs, but loved his family more than anything. They understand they don't have much control over where the image ends up. but they are hoping that people will stop sharing the image of Bad Arm. "His family doesn't approve of it," said Jensen. "A lot of them are older and they don't understand how the internet goes." "It's part of their [Blackfoot] culture, they just don't think people should be making fun of people that have passed away. You let them rest in peace." Although recent social media posts have associated skoden with the Sudbury water tower, it is a term that will live on through T-shirts, graffiti and music, as well as Pernell Bad Arm. At the end of the day, Bad Arm's loved ones want the public to know that he was a human being and he will be missed. It is unknown who took the original photograph of Bad Arm. Out of respect for the family, the CBC decided not to include the viral photo in this article.